Are you looking for a career a home care aide and have experience as a RN, LPN, CNA, HHA or Homemaker/Companion. Our home care staff members are carefully screened and selected on the basis of their healthcare experience and their commitment to the caregiving. Our Home Health Aides, CNAs, LPNs and RNs are employees, not contractors. Our home care nurses and aides are employees and they are bonded, covered by Professional Liability, and Worker’s Compensation insurances. 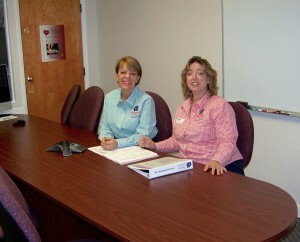 All caregivers are introduced to the client by the RN Care Manager. She proactively manages each caregiver to ensure that each client is satisfied. We offer block staffing, part time, and per diem work. Our salaries are competitive with 4 levels of caregivers; we also offer shift differentials, paid time off, referral bonuses and benefits. Most of our communications is on line so you must have access to the Internet. • Training as a Home Health Aide or a CNA as certified by an educational entity such as a vocational technical school or a private career education school licensed by Florida Department of Education, or as performed as an employee of a home health agency. Skilled care requires experience working as a RN or LPN in a home care or similar setting. Please attach a resume. We will call you after we review your application. We realize that caregiving is a tremendous responsibility and we have set high standards when selecting our team. Prospective caregivers must complete an online testing and on-set skills evaluation. This is to help assure a good fit between the caregiver and the client. Here are the checks all caregivers will need to pass. We serve Seminole and Orange, Osceola Counties including the following cities – Orlando, Altamonte Springs, Celebration, Windermere, Winter Garden, Ocoee, Kissimmee, Maitland, Winter Springs, Winter Park, Lake Mary, Longwood, Sanford and surrounding areas.